Anthony Miranda Author of Social Genius Co-founder of Blueprints For Your Life I am a serial entrepreneur, blogger, and internet marketer with a passion for psychology and the way it influences our social life. I have several projects in the works to help people refine their vision and make their goals reality. If you enjoy writing and want to get pay for it, then join me and countless others trying to entertain, enrich, and fulfill others' curiosity through infobarrel. What is power? Some would say that power is money. Others would say that it is position. The President of The United States has both money and position. Does that mean he has power? Well, I guess you can say that. The president has power, but it is not because of money or position. He does so because we give him it to him. Think about it. He is the president and has all the resources anyone could ask for, but here I am saying that he only has power because we say so. Well, It's true. No one has power over you unless you let them. This applies to everyone. From the president of the country to the guy next door. Noone can exert power over you unless you let them do so. People can try to treat you anyway they want but it is ultimately up to you to decide if you want to let it happen, take it back, or walk away. If we decided that we did not want the president, for one reason or another, we could get him off the chair and re-elect another one. Yes, the process to do that is rather tedious and many would rather wait for his term to end but the fact reminds, only those we allow to exert power have power over us. This even applies to your boss. If your boss acts out for no reason, go ahead, talk to him like a human being and tell him to calm down. If he goes crazy on you, you are within all rights to tell him to stop. He is your boss, but that only means you work under him. He supervises your job and keeps you on track . You grant him that power in exchange for a paycheck. Had you no need of his money or decided to find a replacement, then you can take that power back. Do not let anyone treat you like garbage. A person can only do so if you let them. Only if you allow someone to treat you badly can they do so. In reality, life is just how we perceive it to be. If we think we are nobodies who do not deserve anything, then that is exactly how life will treat you but if you stand up for yourself, stand up for what you believes and your values, then that perception of the world is what your life will materialize to be. 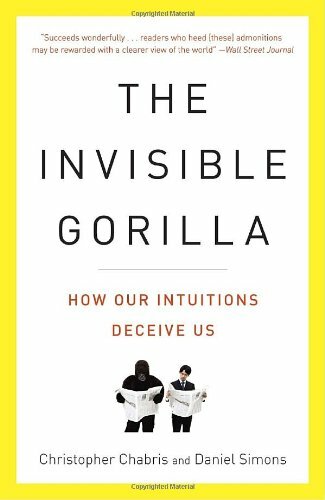 Psychologists Christopher Chabris and Daniel Simons, show us how our brains are hardwired to edit our perceptions and memories, to misinterpret evidence and jump to conclusions. You are doing it too! Find out more here. 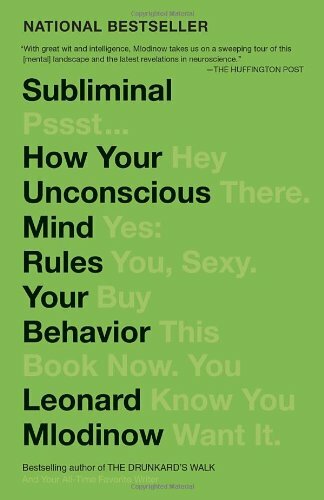 In recent years there have been a number of books written on the topic of the influence of our subconscious minds upon our behavior. This one is really well done and a fairly easy read. What is your Muse making you do? Is it wiring you for success or does it need some reprograming? Do not wait to find out. What do you see in the above picture. If you see the word "liar", then that's your perception of the image. If you see the face, then your perception of what's real is the face on the image. They are both no less correct but some people just look at one and take that as the only fact. The same happens in life. There are many roads you can take to a certain destination, many ways you can perceive life. Do not limit yourself by not seeing and examining it to see the potentials for other interpretations. Power is but another illusion. Another interpretation of how we see things so if you want to gain the power to do whatever you want with your life, then try to work on changing your perception of reality. As I mentioned on a previous article "Believe in Yourself: Choose to Succeed." Everything is energy. Match the frequency of the reality you want and you cannot help but get that reality. That reality will manifest itself because your thoughts are also energy and we also know from Einstein that energy cannot be created nor destroyed, it can only be transferred, so transfer the energy of your thoughts into a material reality. I agree with this philosophy. There is so much static out there that will try to convince us otherwise which is why it is good to have constant reminders. Books, audio, journaling - whatever it takes to keep this in the front of the mind. Thanks for the reminder! Thanks for reading! I'm glad you enjoyed it. Yes, their is so much static but I guess we just have to get used to follow our inner voice and ignore the noise. Mainstream ideas are usually wrong or behind on times. As Mark Twain put it best, "Whenever you find yourself on the side of the majority, it is time to pause and reflect." I Totally agree with you Anthony. Power is an illusion, nobody can make you do anything. It is always a choice. Thanks for the book recs, they look interesting I will be adding them to my wish list.